Our therapists treat a variety of post-surgical conditions. Here are several common types. The shoulder is the most flexible joint in the body, which places it at greater risk for instability and injury. You'll become familiar with the "core" muscles of the shoulder, the SITS muscles that make up the rotator cuff: supraspinatus, infraspinatus, teres minor, subscapularis. The supraspinatus is most often the one repaired when you undergo rotator cuff surgery. 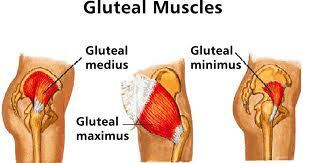 These four muscles form a thick "cuff" over this joint. The rotator cuff's primary role is to stabilize the shoulder during arm movement or when lifting/carrying weight. Each muscle originates on the shoulder blade, or scapula, and inserts on the arm bone, or humerus. The specifics of rehabilitation for the post-surgical shoulder will depend on the type of surgery, surgeon precautions, and the activities you want to resume. Physical therapy helps with pain control, regaining range of motion (ROM), regaining proprioception (sense of body movement or position), improving muscular strength and endurance, and returning you to the activities you love. As the largest joint in the body, the knee connects the thigh with the rest of the leg and supports almost all of the weight of the human body. This makes it susceptible to multiple types of injuries and conditions. 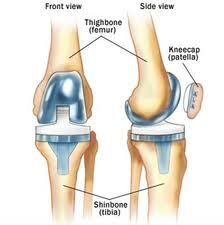 One of the most common knee surgeries is an anterior cruciate ligament (ACL) reconstruction. The ACL helps prevent hyper-extension of the knee. The knee is at the mercy of the hips. The stronger and better balanced the buttocks (and core), the happier the knee. As with the shoulder, the specifics of post-surgical rehabilitation will depend on the type of surgery, surgeon precautions, and the activities you want to resume. Physical therapy helps with pain control, regaining range of motion (ROM), regaining proprioception (sense of body movement or position), improving muscular strength and endurance, and returning you to the activities you love.